WEST PALM BEACH, Fla. — The International Hot Rod Association is pleased to announce the first-ever IHRA Scholars Award to be given to the IHRA member who best shows excellence in the classroom and on the track. WEST PALM BEACH, Fla. – The World Series of Drag Racing is returning to Cordova International Raceway in Cordova, Ill., after a one-year stay in Memphis, Tenn., IRG Sports + Entertainment announced today. The 2017 World Series of Drag Racing is set for Aug. 25-27, 2017; ticket information will be available in March. WEST PALM BEACH, Fla. – After a nearly two-decade hiatus, the International Hot Rod Association (IHRA) and ESPN have signed a multi-year agreement for the worldwide leader in sports to resume its partnership with the IHRA. 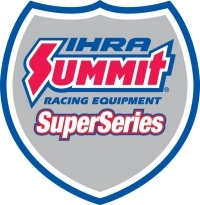 The agreement is effective immediately; broadcasts begin when the 2017 IHRA Drag Racing season opens Feb. 3-5 at Immokalee Regional Raceway in Immokalee, Fla.